A few years ago, I just had to have an ice cream maker. Had to. I had memories of the homemade strawberry ice cream my parents used to make (in the old time ice cream makers with the rock salt) and pictured myself lazing away the summer months with my kids making hundreds of different flavors of homemade ice cream. My husband said “You’ll never use it. It will be one of those appliances that you get sick of after two uses.” (I admit I am guilty of this with our bread maker, our fondue pot, and our food mill.) “But I will use it, I will use it all the time!” I insisted. I have used it exactly thrice. 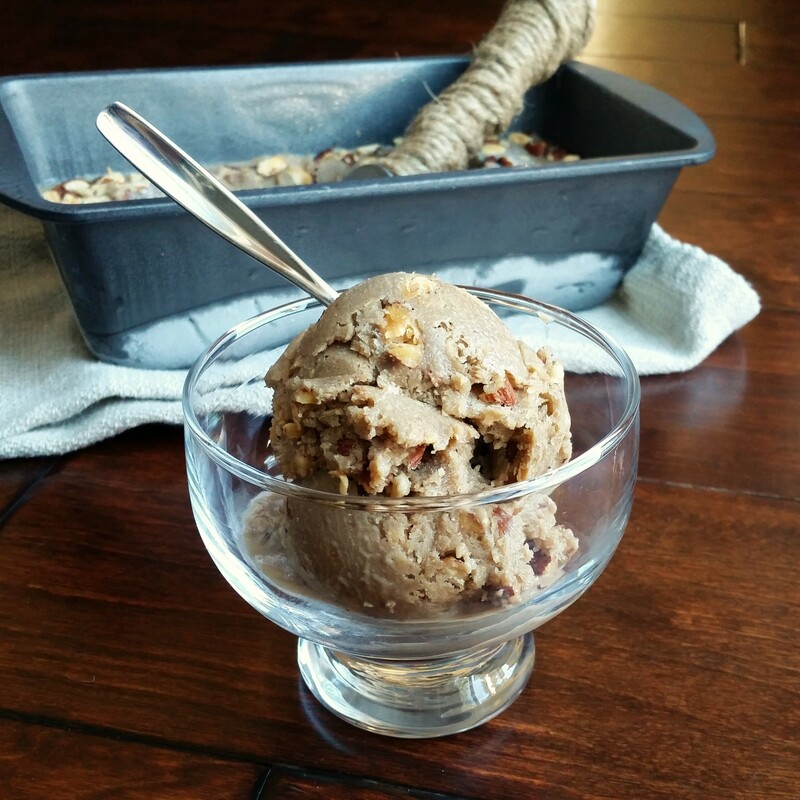 Oh well, no bother, because I did make this amazing maple nut ice cream with it. And when I say amazing, I mean amazing. The ice cream itself has the flavor of a maple bar donut (one of my favorite flavors of all time) and the salty crunch of the almonds just tops the whole thing off into dessert/ice cream perfection. I use my favorite super easy custard base, added some mapleine (simple maple extract from the grocery store) a little maple syrup, and some nuts. 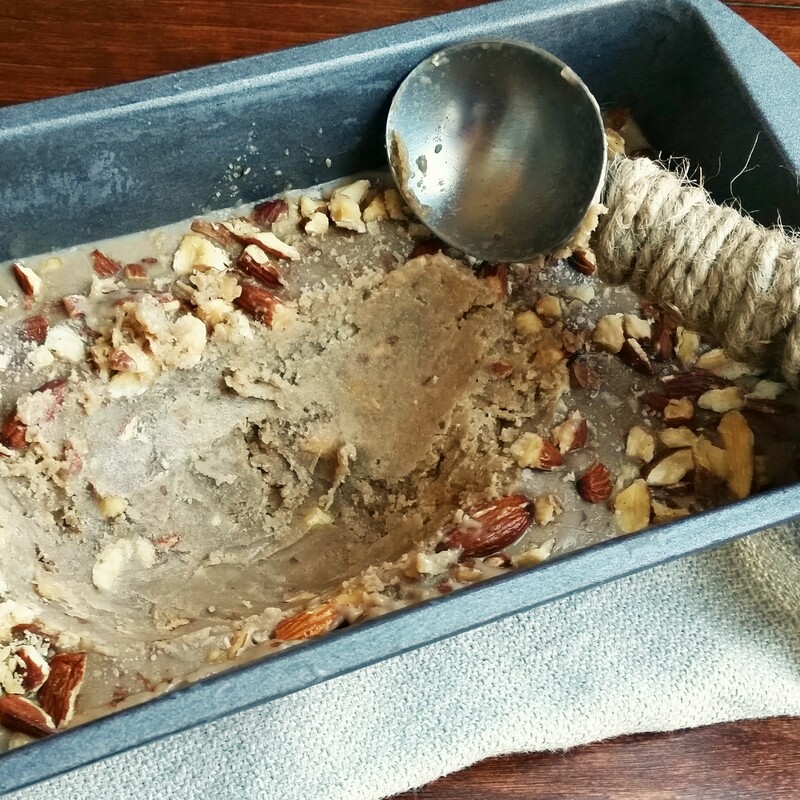 1 cup of whole, salted almonds, crushed. In a large saucepan, removed from the heat, whisk together the whole milk, eggs, sugar, and salt. Place over medium high heat and whisk constantly, 10-15 minutes until the mixture thickens into a custard. Remove from the heat and place into a heat-proof bowl. Add the mapeline, vanilla, and syrup and mix well. Cool to room temperature, and then cover the bowl and refrigerate overnight. The next day, place the mixture into your ice cream maker as directed. When it’s about 15 minutes from being done, add most of the almonds (reserving some to sprinkle on the top.) 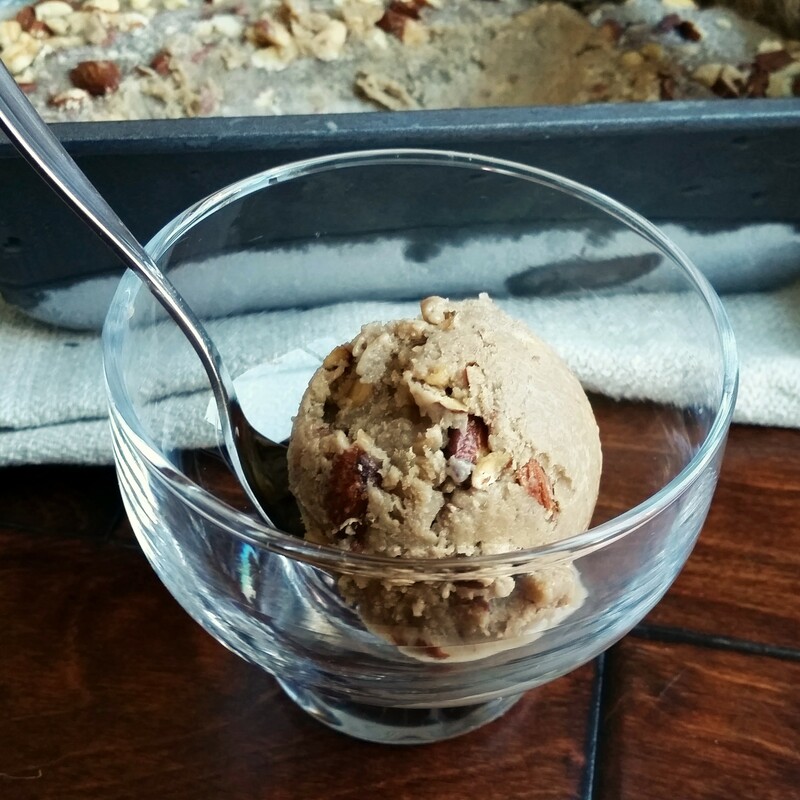 When the ice cream maker is complete, pour mixture into a bread pan, sprinkle with the additional almonds, and freeze until set. Enjoy!